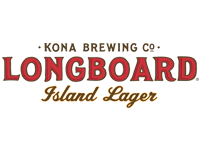 Exceptionally Smooth Longboard Island Lager is a smooth refreshing lager fermented and aged for five weeks at cold temperatures to yield its exceptionally smooth flavor. A delicate, slightly spicy hop aroma complements the malty body of this beer. You know that image in your mind of Waikiki Beach, the one with Diamond Head in the distance and outrigger canoes in a turquoise bay of warm water? It’s real and it’s here everyday, and always has been, from Hawaii’s romantic plantation era in the early 20th century to the present day. It’s as beautiful and romantic as you’ve always dreamed. Splash, body surf or windsurf, in the warm, turquoise water just below Hawaii’s icon, Diamond Head. 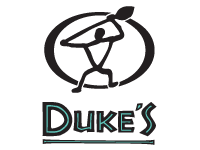 You can even experience Waikiki from outrigger canoes – now that’s an experience you just have to take home! When it’s time to take a break, you can just stroll a short distance to some of the best shopping and parks in all of Hawaii. Patagonia is a leading designer of core outdoor, surf and sport-related apparel, equipment, footwear and accessories. Noted internationally for its commitment to authentic product quality and environmental activism, it has contributed over $47.5M in cash and in-kind donations, has used organically grown cotton in its clothing line since 1996, and has an entire product line that is recyclable through its Common Threads Initiative. 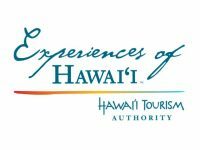 Hawaii’s state tourism agency, the HTA, uses its research, industry and marketing expertise to develop and implement the state’s strategic tourism marketing plan. Equally important, the HTA is responsible for supporting programs that enhance and showcase Hawaii’s people, place and culture in order to deliver an incomparable visitor experience. 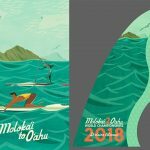 HTA and M2O are proud to showcase the best of Molokai and Hawaii to the athlete each year and wish them all a wonderful visit and safe crossing. Future Fins began in a garage in California in 1996. 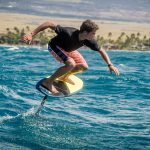 Backed by industry leaders with over 50 years of surfboard building experience, the Longo brothers were able to use their engineering backgrounds to create products involving something they were passionate about, Surfing. Today our passion for surfing and our commitment remains the same, and since we are a family owned business we are much more concerned with impressing you, the board-rider, than any board member. We are looking forward to the partnership with the M2O and showcasing our new fins for the channel. Standup Paddle Magazine is a publication which features the Adventure, Travel and Destination lifestyle of the waterman thinking outside the box, on the water. Whether it’s a new venture with a new board across the lake, finding yourself challenging an outer reef or finding yourself in the middle of a downward run miles away from land, we challenge you to find yourself, to educate yourself with the latest equipment and discover new and better techniques to help you become a more educated and strong paddler. Recently released also is the publication Samata, meaning balance. A magazine for women seeking inspiration and balance for the mind, body and soul on the water. The only women’s magazine for women dedicated to the lifestyle of stand-up paddling including health, fitness, gear guide, apparel and fashion. Based in San Clemente, California, the crew over at Rogue Stand Up Paddleboards believe in getting more people out on the water, on high quality boards, at a great price. With a well-rounded line of boards ranging from traditional sup to touring and race boards, the Rogue line has an SUP board for everyone. Rogue is excited to officially continue its long time support or M2O with team rider Mo Freitas. Bluerush is the premier Standup Paddleboarding retail and and event company in Northern California. At Bluerush we believe that being close to the water is as much about what we are as who we are. Standup Paddleboarding offers us within a moment the opportunity to enjoy with the world of oceans, lakes, harbors, bays and rivers. Just you, just nature, just the way it should be. We also feel the competitive fire burns bright in many of us. That’s one reason that we are one of the biggest promoters and supporters of Standup Paddleboard racing in Northern California. We are excited to be involved with M2O and provide great service for paddlers locally and interested in racing someday in Hawaii. Oakley is a culture of athletes and creators obsessed with using design and innovation to create products and experiences that inspire greatness. Created for world-class athletes, those who see the limits of possibility as just another challenge. Oakley is inspired by the dedication of the these athletes driving Oakley to look beyond the conventional. Oakley is a proud sponsor of the Molokai2Oahu Event. Greenlayer has joined M2O as the official merchandiser of the race apparel and shirts. The core of Greenlayer is the creation of a brand that transcends the common expectations of performance gear. We bring to life race inspired performance apparel for the athlete. Our team is preoccupied with perfection and we create apparel for athletes who will accept nothing but the best. Good Luck to all the athletes as they partake in the 18th annual Molokai 2 Oahu Paddleboard Race. The Hawaiian Pie Company celebrates 4 generations of pie making. The new shop located on the Ewa/West side of Waiakamilo Road honors the Hori family and their legendary pies that first started at Holys Bakery in Manoa. Come and enjoy the secrets of their flakey buttery pies freshly baked daily, available for purchase whole or by the slice. Pies are also available frozen, ready-to-bake, for baking enthusiasts and travelers looking to take something special to another part of the world. Jan Hori is the events PR manager in Hawaii and a paddling enthusiast. Flavor for this month is passion- orange-guava- pear pie. Available only until July 31. Identified as the World’s #1 Brand for Topical Analgesic Patches, Salonpas pain relieving products offer powerful, long-lasting relief of Arthritis, back, joint, and muscle pains. Voted the “Most Trusted Topical Pain Relief Patch Brand” by BrandSpark, Salonpas products also come in other forms including gel, spray, cream and roll-on. Salonpas is proud to be sponsoring the world’s best water endurance athletes as they embark on the Ka’iwi Channel in Hawaii. Amavara is more than just a skincare company. We take pride in formulating products that protect people and the planet. We use naturally sourced non-nano zinc oxide for superior protection with better aesthetics that doesn’t leave you looking white and pasty. With our unique blend of pure and eco-conscious ingredients, you can take comfort in knowing our products are safe for the environment around you. 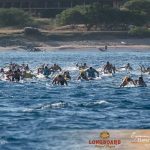 Enterprise Rent-A-Car, proudly serving with Aloha in Hawaii for over 25 years and the our newest Enterprise brand, Enterprise Truck Rental, which provides the right truck for what you need, including special events like the Molokai 2 Oahu Paddleboard World Championship & Duke’s OceanFest. Polynesian navigators boldly traveled vast, uncharted distances, driven by an unlimited desire to explore the world beyond the horizon. It was a world they greeted with open arms. Here at Outrigger, we strive to follow their example. In fact, we’ve been doing it for 70 years, after opening our first hotel in Waikiki in 1947. 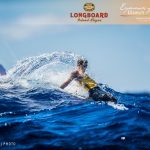 We Proudly support the Molokai 2 Oahu Paddleboard World Championships and wish all the athletes and captains a safe crossing. Welcome to The Paddle League, where we aim to help build a better, brighter and more sustainable future for stand up paddling that benefits everyone who’s part of this amazing community. We’re aiming to help unify, elevate and grow the great standalone events around the world while providing the elite athletes, weekend warriors, brands, fans and media a wider platform to stand on. 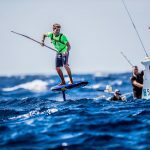 We are excited to be covering the Molokai 2 Oahu Paddleboard World Championships. Since 2008 Fin Film Company has produced award winning films and compelling brand and event videos. Everything we make is shot with an eye for detail, edited with the goal of creating connections with people and shot in the highest quality resolution possible. We are not producers, we are storytellers. We are proud to be working with the Molokai 2 Oahu race for over 8 years. Molokai Outdoors is a one stop shop that can help with all your travel needs on Molokai, including transportation, board storage and accommodations. Airport transfers to Kaluakoi is $11.00 per person with minimum 4 person. They will be providing board transfers from the harbor with their trailers and trucks. Please call Clare direct toll free 1-877-553-4477 and from mainland (858) 227-4507. Wet Feet is locally owned and operated by partners Jeff Chang and Karen Lar Rieu. The brother and sister team are Kama`aina who grew up nearby and are committed to providing the local community with a quality shopping experience for their recreational needs. Understanding the water person lifestyle is what Wet Feet is about and searching for the best products is a passion since Jeff, Karen and the staff are avid paddlers and use the goods themselves. Wet Feet is also enthusiastic about promoting the ocean oriented lifestyle. Encouraging healthy and fun pursuits contributes to a positive effect on the community. In that regard Wet Feet is also happily involved in community service by supporting local environmental conservation groups, sponsoring beach cleanups and putting on clinics and races.